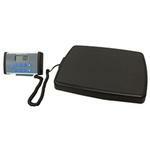 The HealthOMeter 752KL digital medical scale with remote display uses sophisticated microprocessing technology for highly precise results. Each precision scale is designed to be accurate, reliable and repeatable, with features that make the weighing process simple, fast and convenient. 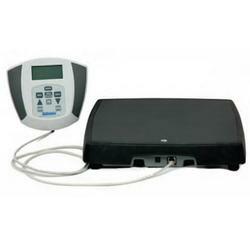 Large base, 600 lb capacity w/ BMI function , large 1 inch LCD, battery or AC Power & USB Connectivity. Display can be wall mounted or placed on table. 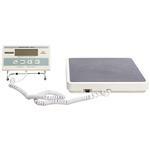 12" x 12" 12" x 12 3/8" 14" x 17 3/4" 14" x 17 3/4" 14 1/4" x 14 1/4"
Health O Meter 498KL Physician digital scales provide professional-grade accuracy in a small footprint. The platform can be placed virtually anywhere and the display can be set on a countertop or mounted on a wall. 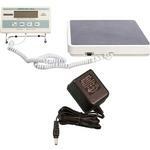 Advanced features such as EMR connectivity, Hold and Tare will allow you quickly take and record weight readings.